Installing a wireless keyboard and mouse is really easy and should only take about 10 minutes, but possibly longer if you're not already familiar with how to deal with basic computer hardware. 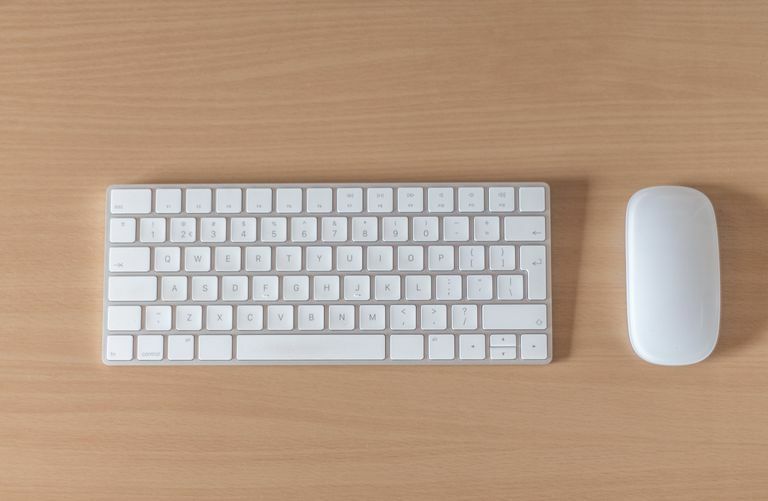 Below are steps on how to connect a wireless keyboard and mouse, but know that the specific steps you need to take might be a bit different depending on the kind of wireless keyboard/mouse you're using. If you haven't yet purchased your wireless keyboard or mouse, see our best keyboards and best mice lists. Installing a wireless keyboard and mouse begins with unpacking all of the equipment from the box. If you purchased this as part of a rebate program, keep the UPC from the box. If you're missing anything, contact either the retailer where you purchased the equipment or the manufacturer. Different products have different requirements, so check the included instructions if you have them. Since the keyboard and mouse you're installing are wireless, they won't receive power from the computer like wired keyboards and mice do, which is why they require batteries. Turn the keyboard and mouse over and remove the battery compartment covers. Insert new batteries in the directions shown (match + with the + on the battery and vice versa). Place the keyboard and mouse wherever comfortable on your desk. Observe proper ergonomics when you position your new equipment. Making the correct decision now can help prevent carpal tunnel syndrome and tendonitis in the future. If you have an existing keyboard and mouse that you're using during this setup process, just move them elsewhere on your desk until this setup is complete. The wireless receiver is the component that physically connects to your computer and picks up the wireless signals from your keyboard and mouse, allowing it to communicate with your system. Some setups will have two wireless receivers - one for the keyboard and the other for the mouse, but the setup instructions will otherwise be the same. Distance From Interference: Keep the receiver at least 8 inches (20 cm) away from sources of interference such as the computer monitor and computer case and other items that may cause interference like fans, fluorescent lights, metal filing cabinets, etc. Distance From Keyboard and Mouse: The receiver should be positioned somewhere between 8 inches (20 cm) and 6 feet (1.8 m) from the keyboard and mouse. Do not connect the receiver to the computer yet. Almost all new hardware offers accompanying software that must be installed. This software contains drivers that tell the operating system on the computer how to work with the new hardware. The software provided for wireless keyboards and mice differ greatly between manufacturers, so check with the instructions included with your purchase for specifics. Insert the disc into the drive. The installation software should start automatically. Read the on-screen instructions. If you're not sure how to answer some questions during the setup process, accepting the default suggestions are a safe bet. If you do not have an existing mouse or keyboard or they are not functioning, this step should be your last one. Software is nearly impossible to install without a working keyboard and mouse! Finally, with your computer turned on, plug the USB connector at the end of the receiver into a free USB port on the back (or front if need be) of your computer case. If you have no free USB ports, you may need to purchase a USB hub which will give your computer access to additional USB ports. After plugging in the receiver, your computer will begin to configure the hardware for your computer to use. When the configuration is complete, you'll probably see a message on the screen similar to "Your new hardware is now ready to use." Test the keyboard and mouse by opening some programs with your mouse and typing some text with your keyboard. It's a good idea to test every key to ensure there were no problems during the manufacture of your new keyboard. If the keyboard or mouse do not function, check to make sure there is no interference and that the equipment is in range of the receiver. Also, check the troubleshooting information probably included with your manufacturer instructions. Remove the old keyboard and mouse from the computer if they are still connected. If you plan on disposing of your old equipment, check with your local electronics store for recycling information. If your keyboard or mouse is Dell-branded, they offer a free mail-back recycling program (yes, Dell covers the postage) that we recommend you take advantage of. You can also recycle your keyboard and mouse at Staples, regardless of the brand or whether or not it actually still works.